Microsoft CEO Steve Ballmer says his company will not lose money on the sale of its Zune digital media players this holiday shopping season, but admits it won't make much money either. In a Q & A session with BusinessWeek about Web 2.0 and the rising competition, Ballmer concedes that it's the "guys who can touch us in multiple places" that are seen as Microsoft's top competitors rather than those "guys who can touch us in any one place." Ballmer highlighted the open source movement and advertising as two alternative business models in which he believes Microsoft must focus its energies in order to compete effectively. "In the case of open source, we couldn't adopt the business model. We adopted a competitive approach that so far has worked very well," he said. "In the advertising case, we can embrace that model. We don't have to sit here and say it's that bad." "A third model," Ballmer said, "is that there are cases where software gets monetized through hardware. That's what an iPod is. iPod is a software thing. You just happen to collect the money on the hardware." Ballmer said his company's upcoming Zune player fits into the hardware model because the value, if its successful, is all in the software. "It's in community [the ability to share music and pictures with other Zune users]," he said. "I want to squirt you a picture of my kids. You want to squirt me back a video of your vacation. That's a software experience." 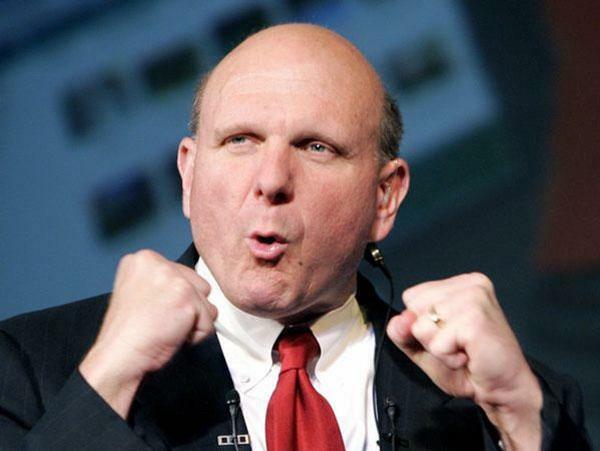 "The truth is," Ballmer added, "if it makes money, it will be built into the gross margin on the hardware. We'll figure out how to make money on the community perhaps later though advertising or other means." Asked how much money Microsoft will lose per Zune, Ballmer said, "None." "Apple put the hammer down there, dropped the price [of its 30GB iPod] down to $249," he continued. "If they had been $299, it would have been nicer. They have the advantage of scale. So we're at $249, too. We don't make a lot of money, not to start out."